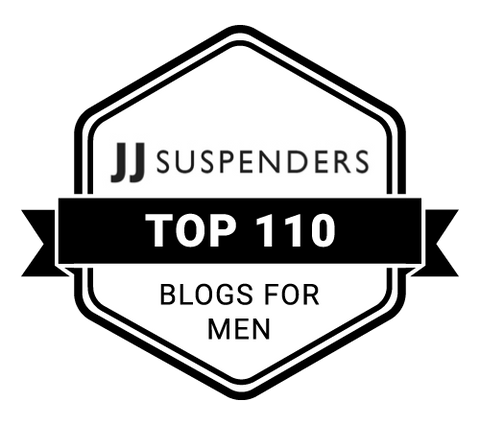 It is review time once again, this time under the spotlight I will be taking a closer look at the Calvin Klein Logo Sweatshirt which has recently had a surge in popularity, largely thanks to the current trend of all things vintage and retro. Read on to find out if its revival is justified. 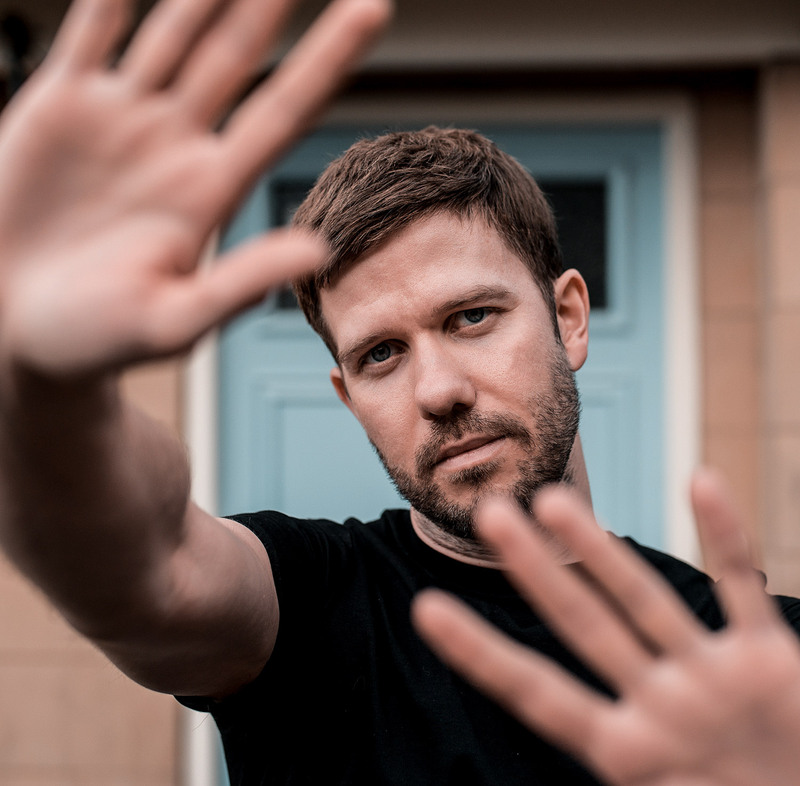 For many years branded sweatshirts and T-Shirts had fallen out of favour with the fashionable elite, with the majority of the world opting instead for more simple designs, particularly understated and un-branded clothing choices. After all, who wants to brandish a massive logo of a designer brand across their chest? As with many things in life, trends too, can swiftly change. Over the last few years, long forgotten brands are seemingly rising from the grave, the twist of fate convincing us once more to hunger for these mid 90’s classics. One of the most popular pieces from the era was the classic sweatshirt from American brand – Calvin Klein. Their underwear range has always been popular, they stock some of the most comfortable designer underwear briefs for men, but their clothing range took a big hit when heavy branding was no longer a cool style. But now that the trend is in vogue again, it is only natural that they are once again leading the pack. 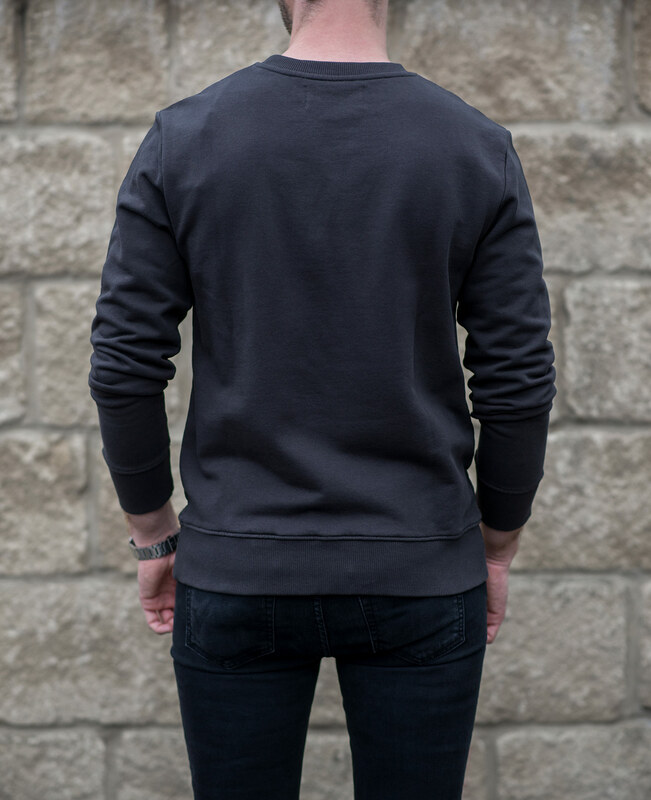 Each season, they release a number of different colours in the sweatshirt, but for this review, I decided on one of their classics, the charcoal version (sometimes referred to as faded or washed black). I wanted something which I can wear with numerous items from my wardrobe, especially blue jeans and clean white sneakers like in my Calvin Klein Sweatshirt Outfit Throwback. However, I am keeping an eye out for other colour-ways, like the white or red. The design of these 90’s sweatshirts has proved that sometimes something so simple can end up being the best, I bet the original designers never dreamed that 20 years later, the fashionable crowd would still be enjoying what they created. It holds an equal charm for both sexes, with men and women often purchasing one for their collection. 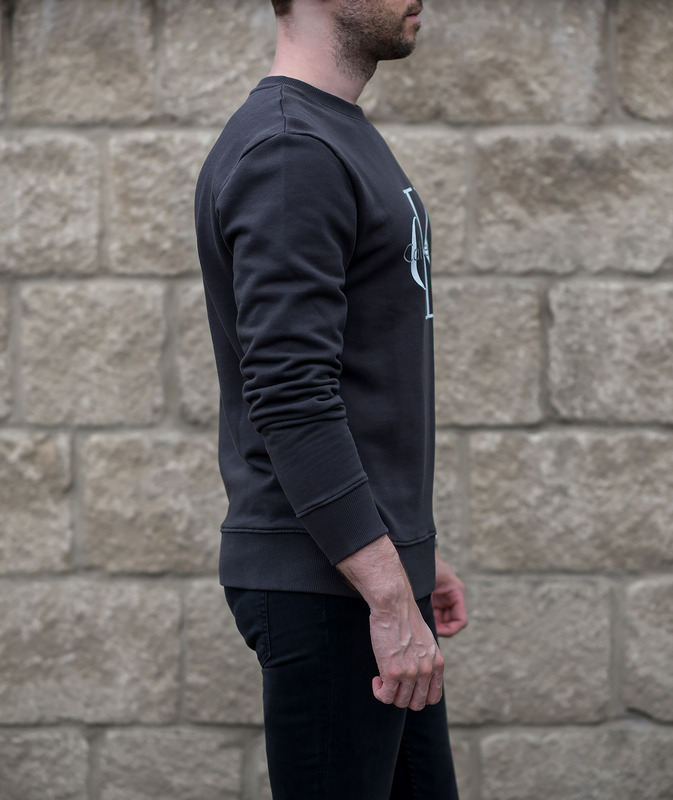 The sweatshirt is crafted from a simple 100% cotton, yet is incredibly soft to touch, the inside is even more comfortable on your skin, boasting an almost fluffy texture. When worn, you can instantly feel the improved quality compared to many cheaper (and even some similarly priced rivals) on the market. The cuffs of the sweatshirt are made of a more sturdy ripped fabric, allowing for a little more wear and tear before any damage will occur. There is very little in the way of details, apart from the iconic Calvin Klein logo featured on the front of the jumper, its print is a considerable size, but also manufactured to a very high standard. Fixed to the fabric securely with no signs of peeling or flaking. 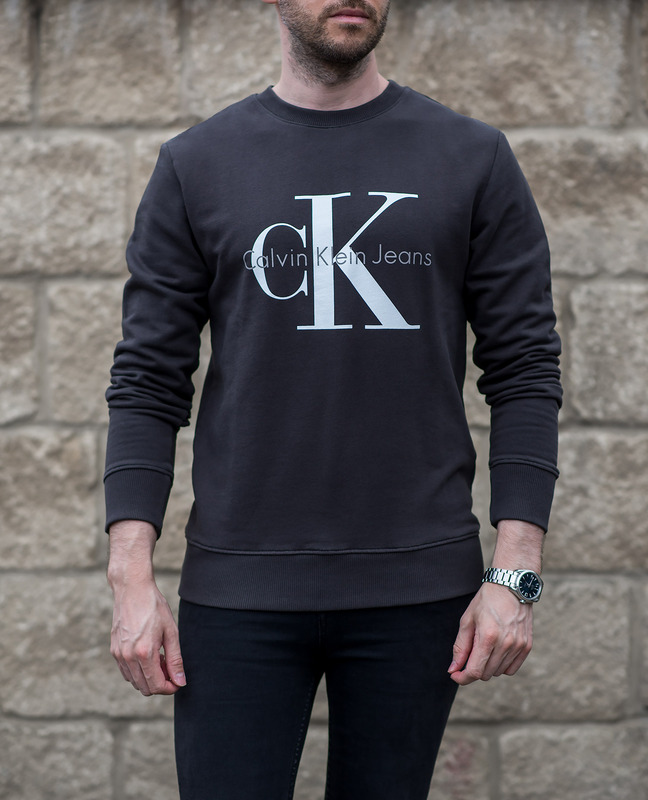 The Calvin Klein Logo Sweatshirt has numerous different outfit options available (notably in the charcoal colour I selected). One of the most popular styles is the street style look, paired with skinny jeans, sneakers and a baseball cap for an undeniably effective urban ensemble. Alternatively, it can even be paired with Chelsea boots and an undershirt for something a little more dressy. When it comes to comfort, there is no doubt in my mind that this CK sweatshirt has found the winning formula. As soon as you slip it on, you are greeted with that soft material on your skin. As previously stated, I have worn many sweatshirts from multiple brands at various price points, I can safely attest that this sits very close to the top of the pile. I chose the smallest size available when ordering, which was an XS, which turned out to be the correct choice. Other brands I am invariably a size small, for in Calvin Klein that always fits way too large for my frame. If you are happier to have a slightly oversized look then pick out your regular size, otherwise, I recommend sizing down one for a more fitted look. Calvin Klein sweatshirts do command a fairly high price tag for what they (but then it is a drop in the ocean compared to some Italian brands, not mentioned any names …). But despite this, it is a classic addition to your wardrobe from a classic brand, which will happily see you through a number of years if you treat it well. Plus, if you keep your eyes open, it is possible to snap one up at a good discounted price during the sales! 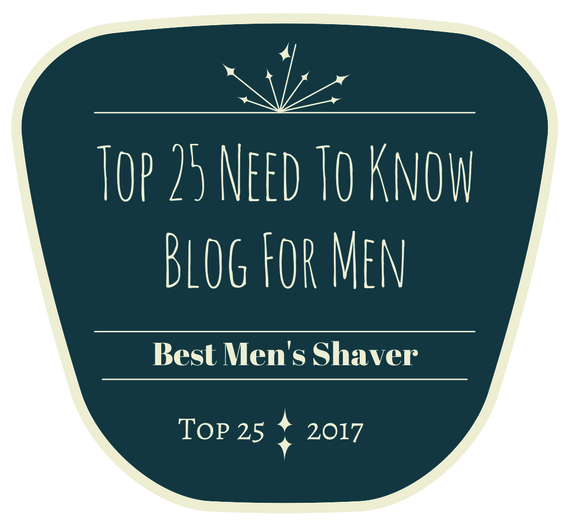 In summary, the Calvin Klein Sweatshirt is a worthy addition to your menswear collection, especially if you looking to add a 90’s retro vibe to your outfits! Well made, classic fit with an eye-catching design, what more could you want? Are you a fan of this style of clothing? Please let me know in the comments section below!